Get your silly on with this classic chewy candy! 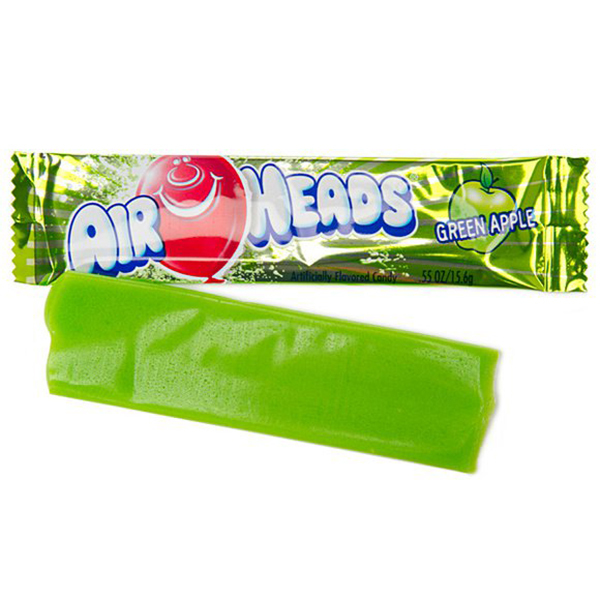 An Apple airheads is just the candy to transport you back to childhood. It is a wonderful reward to give to the kaikis. It is a sweet candies infused with a great apple flavor and have the texture of taffy. Sugar, corn syrup, maltodextrin, dextrose, modified food starch (corn), partially hydrogenated soybean oil, palm oil, contains less than 2% of: citric acid, water, artificial flavors, red 40, blue 1, yellow 6, yellow 5.